Theodore Dalrymple has written an extremely interesting and insightful review, "Oh, to Be In England: A Prophetic and Violent Masterpiece", of A Clockwork Orange, contrasting Anthony Burgess's novel with Stanley Kubrick's film. The author of the book, Anthony Burgess, a polymath who once wrote five novels in a year, came to dislike this particular work intensely, not because of any practical harm to society that the film version of it might have caused but because he did not want to go down in literary history as the author of a book made famous, or notorious, by a movie. 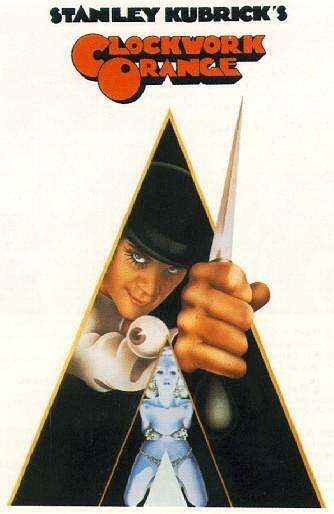 Irrespective of the value of his other work, however, A Clockwork Orange remains a novel of immense power. Linguistically inventive, socially prophetic, and philosophically profound, it comes very close to being a work of genius. Tags: reviews, a clockwork orange.